This is one of my viewers request. Sorry for the delay. Healthiest dosa. I never knew about this , my mom told me this recipe and she made it too when i went home last year. You can prepare for evening snacks too. We can make this easily and give it to Kids after their school. Easy & Fast to prepare ... I really love this. Cook for one side and flip on other side again cook for 2 min. Note : You can add onions and coriander lvs. Dosa looks so so yumm. Quick version of Persarttu dosa. Liked it. This one is crispy and healthy! Thanks for the yummy dosas. It looks like reverse of pesarattu. Will give it a try. crispy dosa! I thought it was pesarattu..
Dosa looks so healthy and yumm. 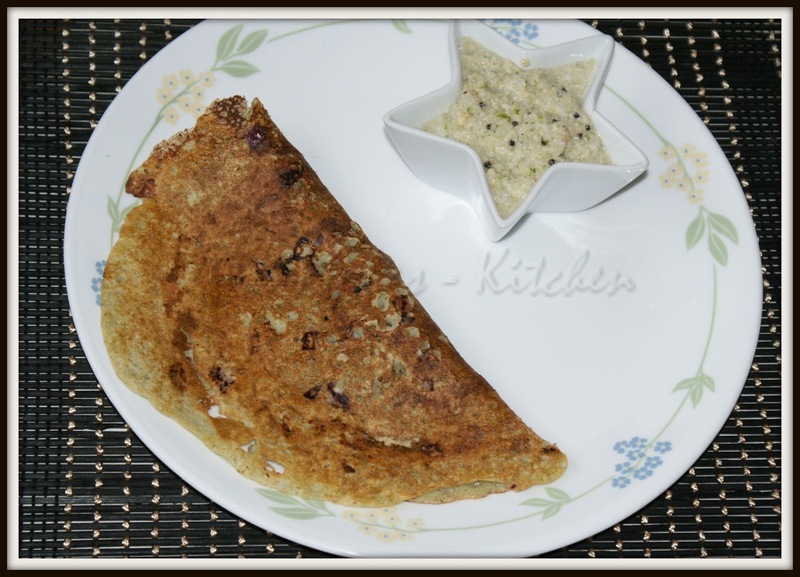 Healthy Dosa !! Yummy ! !